When I was named Illinois Teacher of the Year in 1995, I only knew about the workings of our capitol from my studies and tours. I only knew the State Superintendent’s office sent out the state tests and required my license to be current. Within the first few weeks of receiving the honor, the State Superintendent asked me what I wanted to do during my year. I replied, “I would love to raise the level of the teaching profession.” From that moment, I seized every opportunity to share my voice. I had to learn my expertise and experience was valuable to the development of policy. Early on I was at a meeting to discuss “Teacher Quality” with 50 governors, state superintendents, university deans, and business CEOs. I was the only teacher in the room. I was intimidated. My university dean whispered, “If you do not speak, they will not hear the voice of a teacher.” So I did and they listened, asked questions, and we argued. I knew then it was important for not only my voice but to help other teachers’ voices be heard. I testified at Illinois State Board Meetings and budget hearings and hearings in the General Assembly. I learned that policy is developed by whose voice is being heard and who is at the table. I have been lucky to have been offered so many opportunities and the opportunity to make other opportunities to share my voice and those of other teachers. 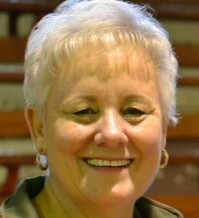 Lynn served as a Field Advisor, Educator-in-Residence, with the Illinois State Board of Education 1995-1999, on the Illinois NBPTS Design Team, chaired the writing of the Illinois Professional Teaching Standards, led the Classroom-Based Assessment Initiative and managed the training for R2R teachers throughout the state. Dr. Gaddis joined Illinois State University in 1999 as Director of the National Board Resource Center.